A French family living in Brazil whose daughter recently married, extended the visit of friends over the ceremony, by showing them a little bit of the country. 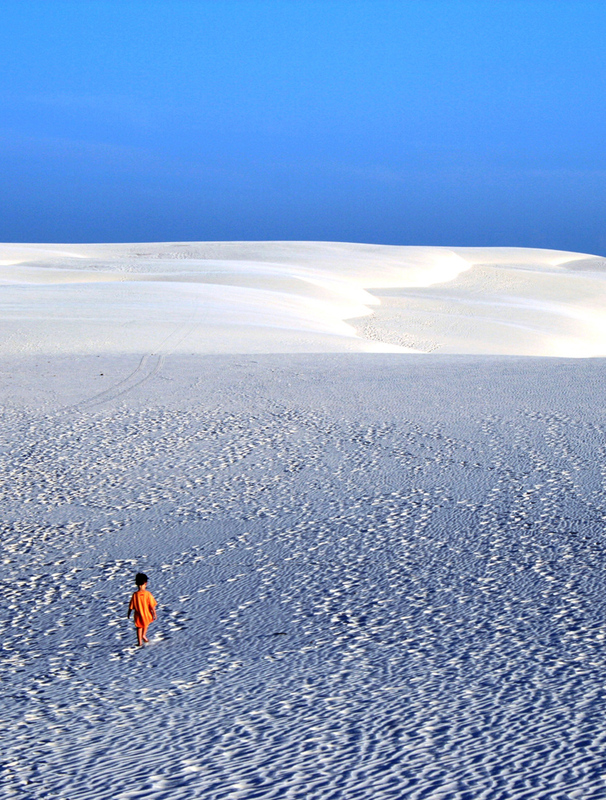 The bridal couple and guests travelled to Brasilia and then to São Luís before ending in Santo Amaro and Lençóis Maranhenses. In addition to trips on the lakes, there were other activities such as kayaking, sailing in regional canoes and riding quadricycles over the dunes. At the end of the afternoon, cocktails and a breathtaking view. They also visited some of the local villages, where they were able to see manioc flour being prepared and try a delicious typical local chicken. In the evenings, there were luaus, barbeques and a traditional Brazilian June “fiesta” (the quadrille being led by commands given in French by one of the guests) and folk dances on the river bank including the “bumba-meu-boi”. All guests received useful items like thermos flasks, espadrilles and caps decorated with references to the wedding. Farewell party with regional entertainment.